Anorthoclase: Mineral information, data and localities. 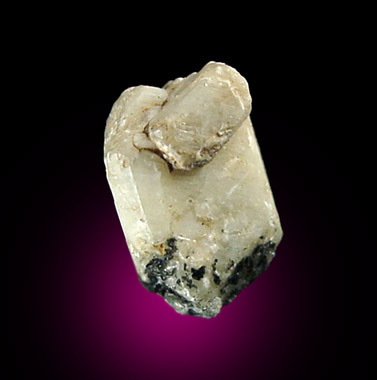 Named in 1885 by Karl Harry Ferdinand Rosenbusch from the Greek αν, ορθός and κλάσις, meaning "not right cleavage", descriptive of the mineral's cleavage. An alkali feldspar intermediate between low sanidine and high albite. Occurs in high-temperature sodic volcanic and hypabyssal rocks. Visit gemdat.org for gemological information about Anorthoclase. 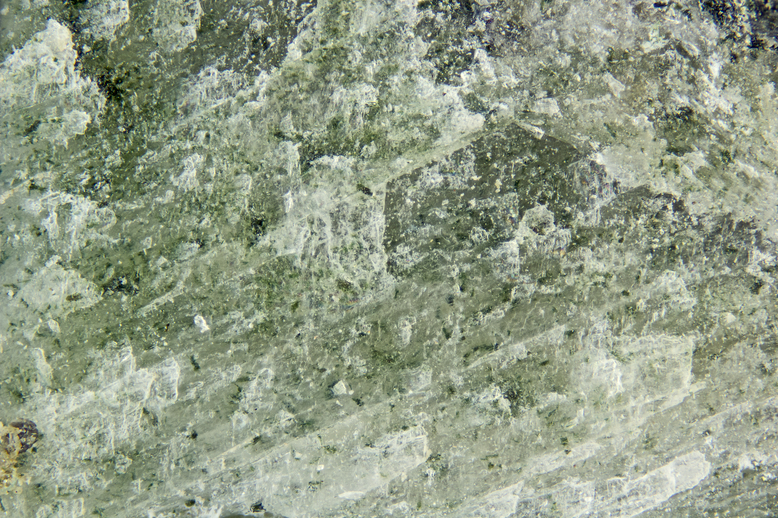 Anorthoclase-Sanidine Feldspar Group. An unnecessary name for a variety of Anorthoclase with the tabular habit of sanidine but the optical extinction of Anorthoclase. Originally reported from Drachenfels, Königswinter, Siebengebirge, North Rhine-Westphalia, Germany. Kenyaite 7 photos of Anorthoclase associated with Kenyaite on mindat.org. Augite 7 photos of Anorthoclase associated with Augite on mindat.org. Ilmenite 5 photos of Anorthoclase associated with Ilmenite on mindat.org. Quartz 3 photos of Anorthoclase associated with Quartz on mindat.org. Ferrosilite 3 photos of Anorthoclase associated with Ferrosilite on mindat.org. Aegirine 2 photos of Anorthoclase associated with Aegirine on mindat.org. Moonstone 2 photos of Anorthoclase associated with Moonstone on mindat.org. Clinoenstatite 2 photos of Anorthoclase associated with Clinoenstatite on mindat.org. Apatite 2 photos of Anorthoclase associated with Apatite on mindat.org. Muscovite 2 photos of Anorthoclase associated with Muscovite on mindat.org. Carmichael, I.S.E., MacKenzie, W.S. (1964) The lattice parameters of high-temperature triclinic sodic feldspars. Mineralogical Magazine: 33: 949-962. Harlow, G.E. (1982) The anorthoclase structures: the effects of temperature and composition. American Mineralogist: 67: 975-996. Kroll, H., Knitter, R. (1991) Al, Si exchange kinetics in sanidine and anorthoclase and modeling of rock cooling paths. American Mineralogist: 76: 928-941. Gaines, Richard V., H. Catherine W. Skinner, Eugene E. Foord, Brian Mason, Abraham Rosenzweig, Vandall King (1997), Dana's New Mineralogy : The System of Mineralogy of James Dwight Dana and Edward Salisbury Dana, 8th. edition. Page, D.G. (2011) Geology of the Hera (Pb-Zn-Au) and Nymagee (Cu) deposits, New South Wales. BSc (Honours) thesis, School of Earth & Environmental Sciences, University of Wollongong, 196 pages. Alker, A. (1956) : Zur Mineralogie der Steiermark. In: Joanneum, Mineralogisches Mitteiungsblatt 2/1956. Schilling et al. (2011) J. Petr. 52, 2147-2185. Da-Xin Li and Yi-Ming Zhao (1997): Acta Petrologica et Mineralogica 16(1), 44-49. Varet, J. (1969): Contributions to Mineralogy and Petrology 22, 185-189. G. Demarcq, 1973, "Guides Géologiques Régionaux : Lyonnais, Vallée du Rhöne" , Masson. Legendre C., Maury R.C., Caroff M., Guillou H., Cotten J., Chauvel C., Bollinger C., Hémond C., Guille G., Blais S., Rossi P., Savanier D. (2005): Origin of exceptionally abundant phonolites on Ua Pou island (Marquesas, French Polynesia): Partial melting of basanites followed by crustal contamination. Journal of Petrology, 46, (9), 1925-1962. Vincze-Szeberényi, H. (1982): Feldspat-Megakristall aus ungarischem Basalt. Annales Historico-Naturales Musei Nationalis Hungarici, 74, 11-15. [Foerstner] Förstner H. (1877): Ueber die Natronorthoklas von Pantelleria. Zeits. Kryst. Min., 1, 1, 547-561; Foerstner E. [H.] (1881): Nota preliminare sulla geologia dell'isola di Pantelleria secondo gli studi fatti negli anni 1874 e 1881. Boll. R. Comit. Geol. Ital., 12, 523-556;[Foerstner] Förstner H. (1884): Ueber die Feldspäthe von Pantelleria. Zeits. Kryst. Min., 8, 1, 125-202; Foerstner H. (1884): Ueber künstliche physikalische Veränderungen der Feldspäthe von Pantelleria. Zeits. Kryst. Min., 9, 1, 333-352; Rosenbusch H. (1885): Mikroschopische Physiographie der Mineralien und Gesteine. Ein Hülfsbuch bei mikroskopischen Gesteinsstudien. Band I. Die petrographisch wichtigen Mineralien. Zweite gänzlich umgearbeitete Auflage. E. Schweizerbart’sche Verlagshandlung (E. Koch), Stuttgart, 664 pp. ; Bahat D. (1979): Anorthoclase megacrysts: physical conditions of formation. Mineralogical Magazine, 43, 287-291; Civetta L., D’Antonio M., Orsi G., Tilton G.R. (1998): The geochemistry of volcanic rocks from Pantelleria Island, Sicily Channel: petrogenesis and characteristics of the mantle source region. Journ. Petrology, 1453-1491. [Foerstner] Förstner H. (1877): Ueber die Natronorthoklas von Pantelleria. Zeits. Kryst. Min., 1, 1, 547-561; Rosenbusch H. (1885): Mikroschopische Physiographie der Mineralien und Gesteine. Ein Hülfsbuch bei mikroskopischen Gesteinsstudien. Band I. Die petrographisch wichtigen Mineralien. Zweite gänzlich umgearbeitete Auflage. E. Schweizerbart’sche Verlagshandlung (E. Koch), Stuttgart, 664 pp. Oretti, F.G., Pierini, G. (1987): La Cava Maffei di Botro ai Marmi (Campiglia Marittima - LI). Riv. Mineral. Ital., Milano, 11, 1 (1-1987), 27-30. Gordon A. MacDonald (1948) Petrography of Iwo Jima. Bulletin of the GSA, 59, 1009-1018. Baker, B.H. (1967) Geology of the Mount Kenya area. Ministry of Environment and Natural Resources, Mines and Geological Department, Report No. 79, 78 pp. ; Price, R.C., Johnson, R.W., Gray, C.M., and Frey, F.A. (1985) Geochemistry of phonolites and trachytes from the summit region of Mt. Kenya. Contributions to Mineralogy and Petrology, 89, 394–409; Dawson, J.B., Hinton, R.W., and Steele, I.M. (2008) The composition of anorthoclase and nepheline in Mount Kenya phonolite and Kilimanjaro trachyte, and crystal-glass partitioning of elements. Canadian Mineralogist, 46, 6, 1455-1464. Biedermann, A. R., Pettke, T., Angel, R. J., & Hirt, A. M. (2016). Anisotropy of magnetic susceptibility in alkali feldspar and plagioclase. Geophysical Supplements to the Monthly Notices of the Royal Astronomical Society, 205(1), 479-489. Railton, G.T., Watters, W.A. (1990) Minerals of New Zealand. New Zealand Geological Survey Bulletin 104, 89 pages. ; Mason, B. (1968): Contributions to Mineralogy and Petrology 19, 316-327. Oberti, R., Boiocchi, M., Hawthorne, F.C., Kristiansen, R. (2014): Ferri-fluoro-leakeite: a second occurrence at Bratthagen (Norway), with new data on Zn partitioning and the oxo component in Na amphiboles. Mineralogical Magazine, 78, 861-869. Pekov, I.V., Yapaskurt, V.O., Polekhovsky, Y.S., Vigasina, M.F., Siidra, O.I. (2014): Ekplexite (Nb,Mo)S2•(Mg1−xAlx)(OH)2+x, kaskasite (Mo,Nb)S2•(Mg1−xAlx)(OH)2+x and manganokaskasite (Mo,Nb)S2•(Mn1−xAlx)(OH)2+x, three new valleriite-group mineral species from the Khibiny alkaline complex, Kola peninsula, Russia. Mineralogical Magazine, 78, 663-679. Pekov, I. (1998) Minerals First discovered on the territory of the former Soviet Union 369p. Ocean Pictures, Moscow; Kapustin, Y. L., Pudovkina, Z. V., Bykova, A. V., & Lyubomilova, G. V. (1975). 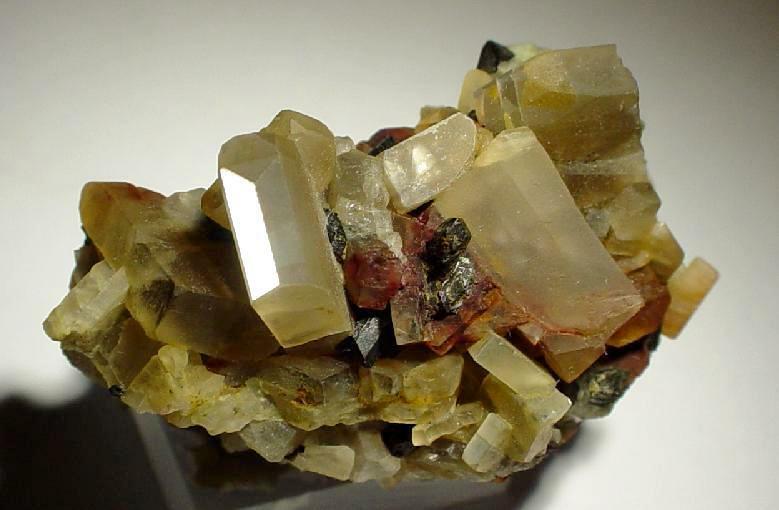 Koashvite, a new mineral. International Geology Review, 17(6), 654-660. Lee, M.W. (1982) journal of the Japan Association of Mineralogists, Petrologists and Economic Geologists, 77, 203-214. Arevalo, P., 1972, Estudio de la Ahuyna Presente en las Rocas Volcanicas de Arucas, Boletin Geologico y Minero, 83(2):187-193. Törnebohm, A. (1906): Katapleitsyenit, en nyupptäkt varietet af nefelinsyenit i Sverige. Sveriges Geologiska Undersökning, C 199: 1-54; Thulin, H. (1996): Norra Kärr. Litiofilen 13: 17-51 Tilley, C.E. (1953). The grennaite of Norra Kärr. Geologiska Föreningens i Stockholm Förhandlingar, 75(3), pp.321–326. Sjöqvist, A.S.L., Cornell, D.H., Andersen, T., Erambert, M., Ek, M., and Leijd, M. (2013). Three compositional varieties of rare-earth element ore: Eudialyte-group minerals from the Norra Kärr alkaline complex, southern Sweden. Minerals, 3(1), pp.94–120. Kresten, P. (1990): The Alnø area (in Swedish). In: Lundqvist, T. (Ed. ), Beskrivning Till Bergrundskartan Over Västernorrlands län. Sveriges Geologiska Undersökning, serie Ba, 31, 238–278. Stern, W.B. (1969) On the chemical composition of anorthoclase from Mt. Kibo/Kilimanjaro (Tanzania). Contributions to Mineralogy and Petrology, 20, 198-202; Dawson, J.B., Hinton, R.W., Steele, I.M. (2008) The composition of anorthoclase and nepheline in Mount Kenya phonolite and Kilimanjaro trachyte, and crystal-glass partitioning of elements. Canadian Mineralogist, 46, 6, 1455-1464. J. C. Phillips, M. C. S. Humphreys, K. A. Daniels, R. J. Brown, F. Witham (2013) The formation of columnar joints produced by cooling in basalt at Staffa, Scotland. Bulletin of Volcanology, 75:715, pp. 17. Anthony, J.W., et al (1995), Mineralogy of Arizona, 3rd.ed. : 114. Anthony, J.W., et al (1995), Mineralogy of Arizona, 3rd.ed. : 114; Garcia, M.O., et al (1980), Volatiles in Ti-rich amphibole megacrysts, southwestern USA, Am.Min. : 65: 306-312. Anthony, J.W., et al (1995), Mineralogy of Arizona, 3rd.ed. : 221, 406; Caporuscio, F.A. (1980), Alkalic lavas from the San Carlos, Arizona province (abstract), Amer. Geophys. Union, 1979 Fall annual meeting. McGuire, A. V., & Mukasa, S. B. (1997). Magmatic modification of the uppermost mantle beneath the Basin and Range to Colorado Plateau Transition Zone; Evidence from xenoliths, Wikieup, Arizona. Contributions to mineralogy and petrology, 128(1), 52-65. WITTKE, J.H. & HOLM, R.F. (1996) The association basamnitic nephelinite - feldspar ijolite - nepheline monzosyenite at House Mountain Volcano, North-Central Arizona. Canadian Mineralogist 34, 221-240. Emerson, 1917. Geology of MA & RI, p.236. Frondel, C.: Minerals of Franklin and Sterling Hill, NJ - a checklist (1972); Dunn(1995):Pt4:509. The Minerals of New York City & Its Environs, New York Mineralogical Club Bull. Vol. 5, No. 1, Manchester, J.G. (1931): 93.